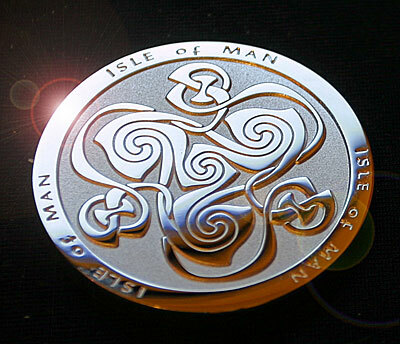 Custom coin design for the Isle of Man. 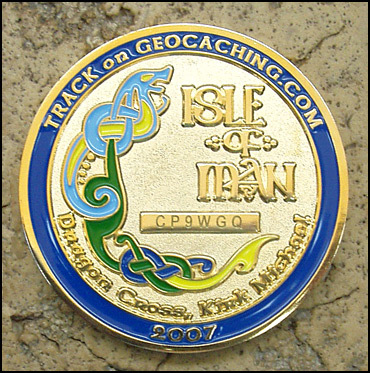 These coins are privately commissioned geocoins, complete with tracking info so they can be tracked as it makes it's way around the world! 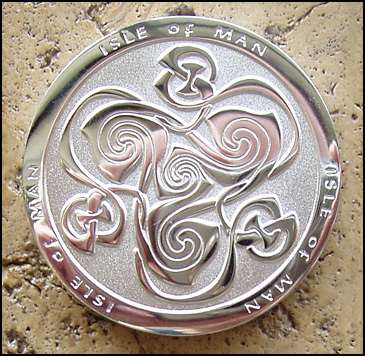 Because this coin was for the Isle of Man, for the first 2006 coin I created a new design in the style of Archibald Knox, an amazing Manx artist from the Art Nouveau period, famous for his watercolor paintings as well as the work he did for Liberty and Co. So it seemed appropriate to think up a design that was in his style, using the pulled peaks and wings in the body of the knotwork and spirals. 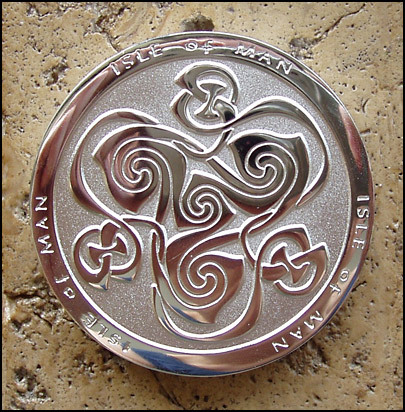 The 2007 coin features a cross design and dragon in the style of the Kirk Michael Dragon Cross, which is on the Isle of Man. 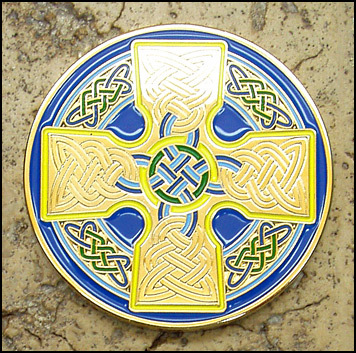 These are a minted coins, not cast!